How was your New Year's? 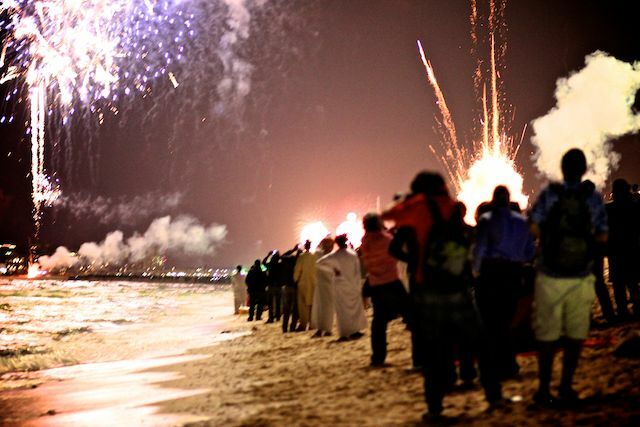 Mine was low key but lovely - watching the fireworks on the beach with thousands of other people. Makes a change from my usual "slumped in front of Jools Holland's show with wine in hand" tradition. I also want to do something that Gemma made a video about - essentially cherishing those good memories of the year and creating a visual scrapbook. It's a nice, sentimental move and I really hope I have some good experiences I can add to it. This one is from River Island and although I can't find a link for it I know that it is no doubt languishing in some sales pile somewhere. The silver tweed effect definitely reeks of "party season". Blouse: ASOS (one of my favourite tops of 2011!) - Link! What are your resolutions/goals for 2013? I have just been and stocked up on too many lotions and potions for my hair so that's on my list too! My resolutions for 2013 are to wash my face every night before bed, and to work on my blog more to get more visits and engagement! Good luck with your goal - I should probably do the same! Dubai's fireworks are always amazing! We had a lowkey new years eve here in Abu Dhabi but I was secretly pleased because I just wanted to be boring and chill! Happy New Year :* I hope it will be fabolous to you :) I love the photos! Happy new year, Laura! The fireworks on the beach look amazing! Love the blazer and of course your bag! This year, I am going to work on going to the gym and not eating like such a glutonous fatty! I just love that blouse! But I'll still give it a go. Looks amazing! Greetings from Munich! Happy New Year! I'm lusting over the topshop jeans! 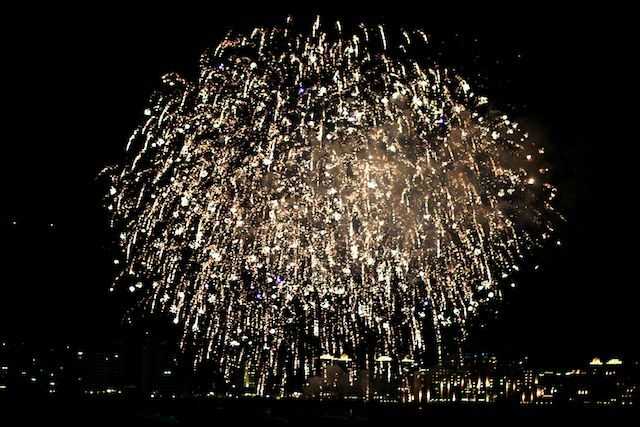 wow Dubai had an amazing firework display! how perfect to be watching that on the beach! happy new year!! love your ASOS top! I've got a thing for sheer fabric right now! The fireworks look fab. I got that ASOS top for Christmas after seeing it on you. Love! It is one of the few tops I can wear with red lipstick. I've been wearing it with wild card from Benefit, coincidentally one of the few red lipsticks I feel comfortable wearing!!! Happy 2013! Looks like you had an amazing New Year, those fireworks are gorgeous! Lovely blazer! Looks like you had a fantabulous New Year's eve! You're such a peach, Laura! Love your posts! New Years resolution: Take better care of myself. Happy 2013 Laura! Here's to what I hope will be a fabulous year for us all! As I have to get into a bikini in 4 wks my goals for Jan are all about getting into shape & losing that pudding I seem to have developed over Xmas!!!! Such pretty firework photos! Happy 2013! Respectable admin happy new year and you article really nice and useful thanks for providing..
Love your Alexander Wang bag its so gorgeous and different to the usual black version! Looks like a pretty unbelievable 'low key' new years to me!! What beach is this on?? So pretty! Love the outfit...the blazer is perfection! I'm still working out setting my goals and will be sharing them on my blog tomorrow! I want to revamp my closet. And procrastinate a little less. I wish that I had gone out to watch fireworks! I ended up hanging out with a couple of friends just messing around. It was good, but I definitely want to go out and enjoy a New Year's celebration in the future. Oh my gosh I love your bag! Perfect! Happy new year! Just wondering, does that top get sweaty or hot at all, being Polyester? I live in Australia so it's imperative to get breathable fabrics! I was so excited that the top was on sale! I just ordered one because I love peplum, and was envying your posts. Happy new year! Fireworks on the beach! What a great way to start the year! Happy New Year to you! My new years resolutions are to drink less gin, save more money and read more. The first two are so boring that I'm going to have to find some pretty good books to make this UK winter less miserable. Love the blazer, I'm in need of a new one! Just found your blog and love it! I lve the blazer in this post. The blazer in gold from River Island is currently in the ASOS sale. A total of 5,171 people were observed simultaneously by two independent observers, and the inter-rater reliability use of sunglasses was excellent (Cohen's kappa = 0.83). Overall, 33.0% of people wore sunglasses when observed. Loving the grey bag! I have my eye on the rose gold and black version at the moment. I was wondering what it is that you do that involves you traveling back and forth from Dubai and the UK? Seems interesting :). We are one of the Professional Fireworks displaying for past 20 years. 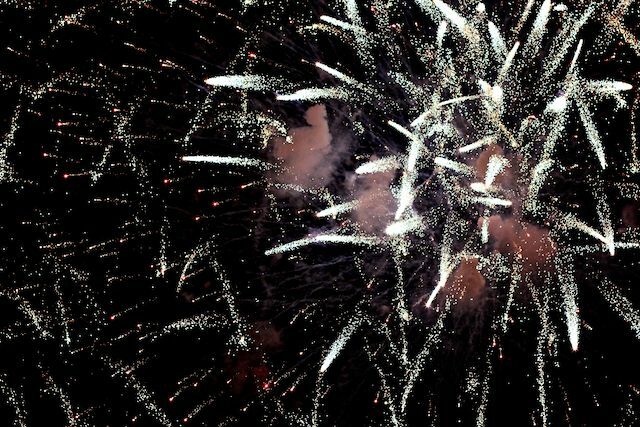 Solihull Fireworks was established in 1993 to provide incredible professional fireworks and fireworks packages provide high quality in our local areas of Solihull, Birmingham and the rest of the Midlands. It is an interesting blog. I like this very much.